With over 28 years experience and close to 100% success rate you can be sure you will receive the highest quality care possible. Dr. James Khazian’s perfectionist approach to all treatment assures a near perfect final result. You will experience a smooth and fast treatment. Dental Implant Centers™ offer the most conservative treatment at very affordable cost. Rather than having one universal treatment option for every patient, we customize your treatment according to your real need and your budget. Dental Implant centers™ is an all-in-one practice. This means all your dental implant and cosmetic dental treatments are done in one office and by one doctor. All aspects of your treatment including initial consultation and evaluation, extraction, bone graft, implant placement and final prosthetic restoration, and post-operative maintenance and care are all done by Dr. James Khazian (click here to watch Dr. Khazian on TV). Dr. Khazian and his small team interact very closely with every patient to make sure all treatment is done with absolute highest level of quality. You are not going to be referred between different doctors and multiple office and the confusion of dealing with different doctors. This is extremely valuable in providing smooth and fast treatment and the best result. “Dr. Khazian promised me a million dollar smile and the results are amazing. Dr. Khazian and his staff show true concern for their patients, they are all very caring and efficient. And…the best part, no pain or anxiety. I would recommend Dr. Khazian to anyone. Thank you for my beautiful smile.” Shirley A. “Dr. Khazian was my first choice when I began my search to do my veneers. I came to his office just for a quote but I was so impressed by him and his staff that he became my only choice. From the initial consult to the post-treatment check-up, the whole experience has been wonderful. Thanks to Dr. Khazian and his staff. 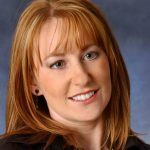 I greatly appreciate all you have done for me.” Shannon G.
28 years experience in dental implantology and cosmetic dentistry. Over 15,000 Implant and cosmetic cases treated. Fellow of the International Congress of oral Implantology, (ICOI). Associate Fellow of the American Academy of Implant Dentistry, (AAID). His smile creation has been published as the best in magazines. Watch Dr Khazian before and after cases. Watch Dr Khazian on TV. Because Dr. Khazian, an implant dentist, strongly believes in organized dentistry and the exchange of knowledge and technology, he is actively participating and is a member of the following distinguished dental organizations. 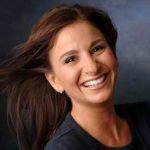 During the past 28 years, Dr. Khazian, a dental implantologist in San Diego and N. County Escondido, has been offering the best in implant and cosmetic dentistry to his patients. Dr. Khazian’s in-depth training and experience as an implant dentist enables him to treat the most complicated dental problems, often times helping patients who have been turned away by other dentists. Because of the experience and skill he has demonstrated in both surgical and restorative aspects of dental implant treatments, Dr. Khazian was awarded “Associate Fellow of the American Academy of Implant Dentistry (AFAAID)” and “Fellow of the International Congress of Oral Implantology (FICOI)”, distinctions awarded to less than 1% of all dentists. He has extensive experience in single tooth, multiple teeth or full mouth dental implants reconstruction, with special attention to esthetic considerations. He has been performing immediate load dental implants with a success rate of close to 100%. Dental implants placed and restored by Dr. Khazian in the esthetic zone (upper and lower front of mouth) are practically indistinguishable from natural teeth. As an implant dentist, he has been performing and mastering flapless procedures that require no stitches. He offers sedation or general anesthesia for patients who prefer to have those services from an implant dentist. He provides dental implant services to his patients in the most comfortable manner at modern, high-tech offices in Escondido North County and Greater San Diego. Because of his strict sterilization protocols and adhering to the most advanced and innovative surgical techniques in implant dentistry, almost all dental implants are performed with minor or no post-operative discomfort. 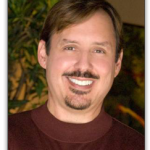 Dr. Khazian has been providing his patients with the most advanced cosmetic dentistry in San Diego since 1989. His cosmetic work has been recognized as the best by the American Academy of Cosmetic Dentistry and featured on the cover of its Journal. His smile creations are beautiful, healthy, and above all, natural looking. We have been providing the highest quality treatment for dental implant in San Diego for the past 28 years. Dental Implant Centers™ is an all-in-one provider of all implant and cosmetic dentistry treatments in San Diego. 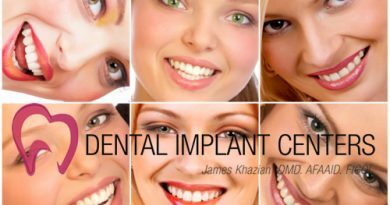 Both surgical and restorative phases of your dental implant treatments are performed in one office by Dr. Khazian. Dental Implant Centers™ offer immediate dental implants. No waiting 3-6 months to get your teeth. Dental Implant Centers™ is your best choice for Teeth in an hour in San Diego. Dental Implant Centers™ offer the best in cosmetic dentistry and oral implant dentistry in San Diego. You will receive the most advanced treatments for dental implant with offices in Escondido and San Diego from a highly trained dental implant surgeon. Consult Dr. Khazian to learn more about dental implants and explore the best solutions for your lost teeth or denture problems. Learn about modern dentistry such as porcelain veneers and white fillings and how they can enhance your life style, health and well-being. Looking for Dental Implant Information? If you would like a Free Exam, Free X-Rays or 24 month Interest Free financing, contact us.